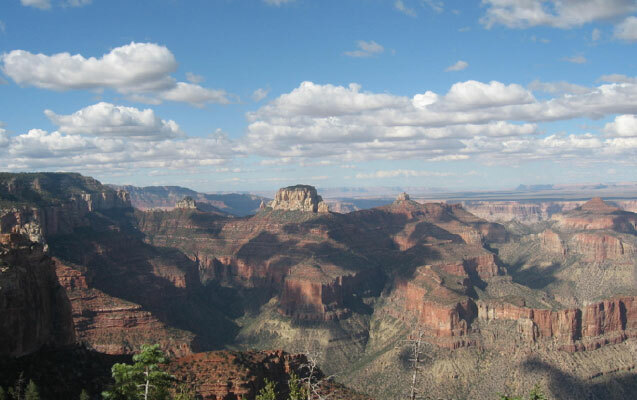 Trip Summary: On this magical trip you will experience the breath taking beauty of one of the 7 Natural Wonders of the World—Grand Canyon—and then go some 70 miles away to get a bird’s eye view of it from atop the highest point in Arizona. The extremes of climate and ecological zones is unique and adds an element of uncertainty and daring that make this an R&R adventure that you will never forget. Fly into Phoenix International Airport, ALL flights arrive by noon. Prepare for long day hike of Mt. Humphrey’s at 12,670 ft.